I heard a lovely quote recently, from French philosopher Albert Camus. He wrote: "Autumn is a second spring when every leaf is a flower." It seems to be a fair sentiment as golden leaves brighten cool, damp days. But fall has plenty of real flowers to brighten its days, too. 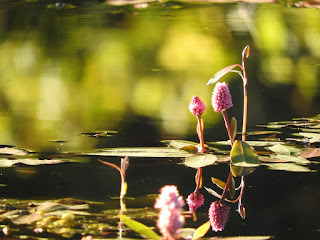 In particular, I’ve been noticing a dark, stagnant pool just filled with hot pink flowers that rise above the glossy reflections of scarlet maple leaves. It’s on my way to work, so I’ve stopped a couple times with my camera when the evening light slants onto the scene with a particularly warm glow. 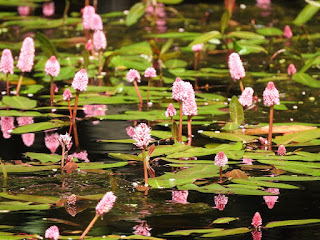 The flowers belong to a wetland plant called water smartweed, Persicaria amphibia. Its genus name, Persicaria, refers to peaches, and was bestowed because the oblong shape of its leaves resembles those of a peach tree. Amphibia is an even more telling part of its name. Amphibious, of course, means living in both land and water. Most plants choose one or the other and specialize. Water smart weed is so canny that it can change form to thrive in either habitat. 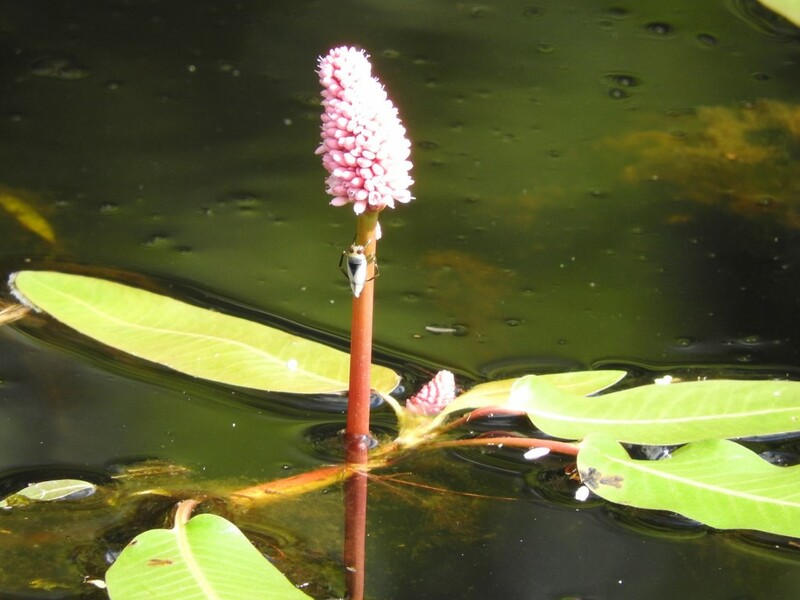 Currently, all the smartweed plants I’ve noticed when stopping to admire my roadside pool are fully aquatic. 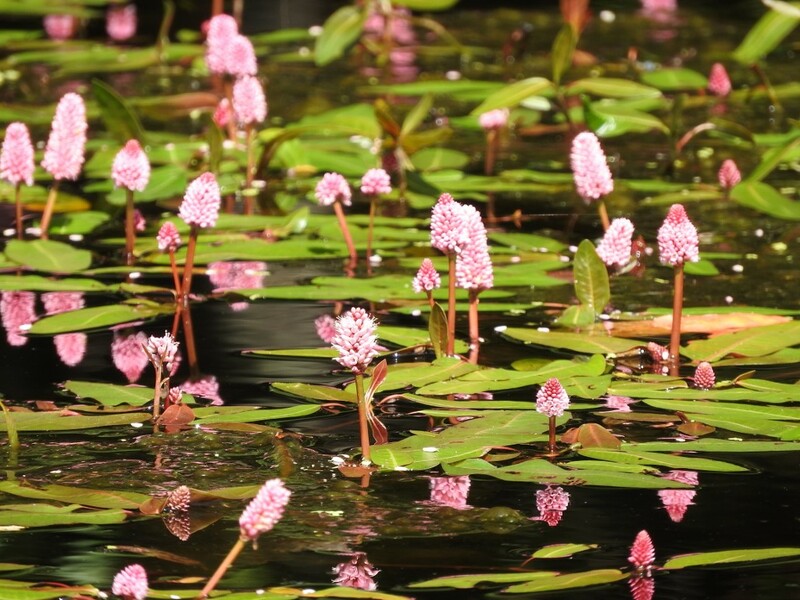 They have oblong leaves with blunt tips that float on the surface, and short, thimble-shaped clusters of shocking-pink flowers that rise above the water on smooth stems. I’m not surprised to see the aquatic form, since this particular pool rises and falls with rain events, and this summer we’ve had record precipitation. In some years, I’ve noticed this pool go almost completely dry by the end of summer. It makes sense, then, that a plant that can thrive in either a full wetland or mud would be successful here. 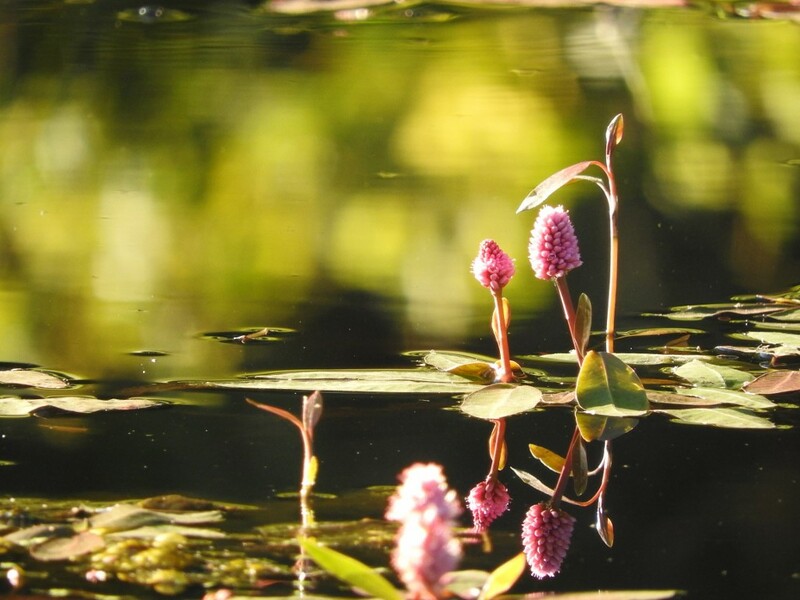 Its success isn’t limited to Wisconsin; water smartweed is widely distributed across the country. The first time I encountered water smartweed, my graduate school botany class was tramping along the shore of Lake Champlain in Vermont. There, on the edge of the muck just barely accessible without rubber boots, we found the plant’s terrestrial form. 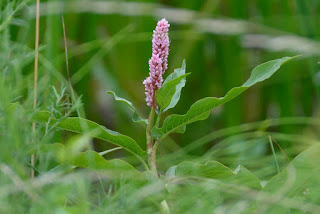 The thick patch of smartweed stood a few feet tall on gangly stems with hairy, wavy-edged, sharp-pointed leaves and long, slender flower spikes. I never would have guessed that the floating plants in my pool and that gangly patch in the mud were the same species (for many years they did have different names), but modern botany has exposed their shape-shifting secret. 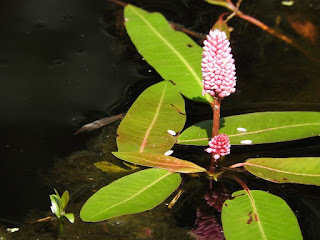 Many groups of humans throughout its wide range have found the roots, stems and leaves of water smartweed useful for medicine and its seeds useful as food. Waterfowl, marsh birds, song birds, and upland game birds also eat the seeds. In addition to those common uses, scientists have even discovered that smartweed accumulates trace amounts of gold. Perhaps that’s why these striking flowers shine so brightly in the slanting rays of the shortening days of fall. Oh, Albert…I’ve changed my mind. Autumn doesn’t need to be a “second spring.” It has treasures all its own. The sky was just beginning to lighten into grays and pinks as we gathered at the Clam Lake Guard Station to meet Laine Stowell, elk biologist with the Wisconsin DNR. Slowly rolling down Highway 77 in our car caravan, we barely noticed as dawn broke. Our first stop was just behind the storage facility at the end of a paved road with several small homes. 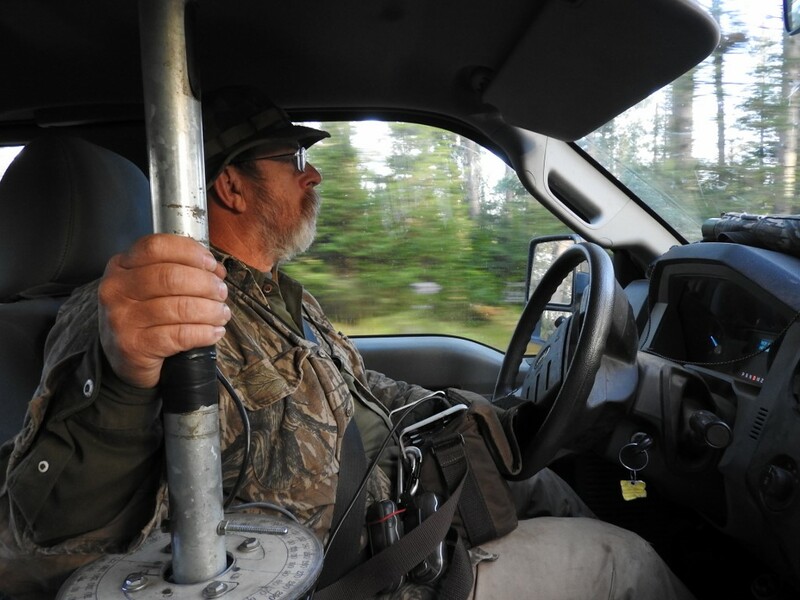 Riding in the truck with Laine, I’d been privy to the steady beeping that signaled a cow with a radio collar was nearby. Driving with his left hand, his right hand gripped the pole of the big receiver antenna punched through his roof and spun it slowly. As the antenna pointed in the direction of the cow’s VHF collar, the beeping grew louder. She was close, he said, between the side road and the highway. Three years ago I wrote about how the presence of elk in the Chequamegon-Nicolet National Forest made it feel wild. On that morning we had hiked a mile or so into the woods on a dirt road. Today’s urban adventure didn’t convey the same mystique. Parking at the end of the lane, we all tiptoed out of our vehicles and gently pushed the doors closed, minimizing sound however possible. Gathering around Laine, we listened as he put the small cow call to his lips, and squealed out several expressive notes. When that failed to elicit a response, he continued with the longer bull bugling device. The long, flexible tube was covered in camouflage, with shiny black pieces at both ends. Putting his lips to the mouthpiece, Laine let out a high-pitched wail. 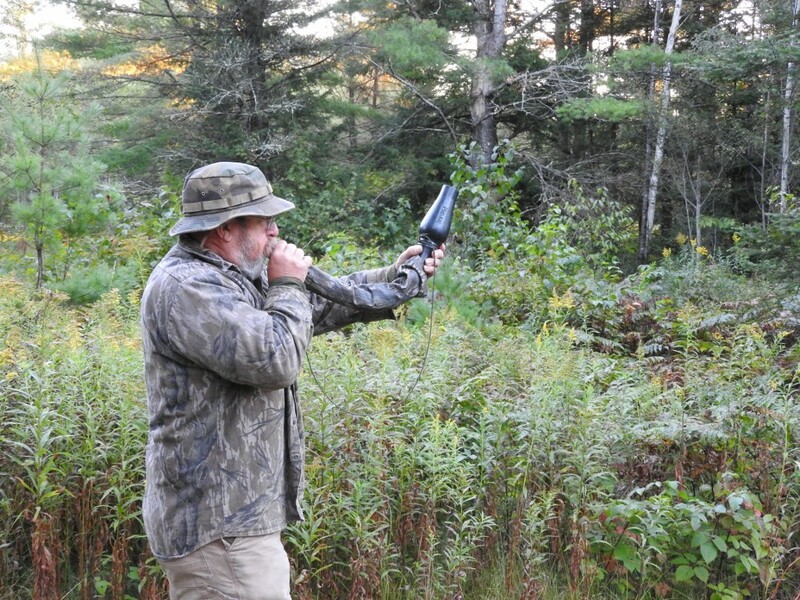 Hopefully, another bull would hear the bugle and take up the challenge. We stood expectantly: ears open, breathing controlled, arms wrapped against the morning chill. We admired the beauty of the morning light and dappling of fall colors. Silence. The elk were close, but not cooperative. Elk were extirpated from Wisconsin in the 1800s due to over hunting and a rapid decline in habitat. In 1995, twenty five elk were released into the National Forest near Clam Lake, and the DNR now estimates the population to be 160-170 animals. Several dozen more elk are scheduled to arrive from a Kentucky herd this March. The new elk will boost the genetic diversity of this herd, and increase the population to the point where a limited hunting season can be considered. Piling back into our vehicles, we caravanned to a couple more sites, each deeper into the woods than the last. Laine had woken up early to scout the area, and had located several cow-calf groups in the vicinity. During the rut—which starts around August 25 and can last into the middle of winter—where you find cows, you also find bulls. They were there…we could hear the beeps from their radio collars…but none made a peep in response to Laine’s calling. As the sun rose higher, we bumped still deeper into the forest. 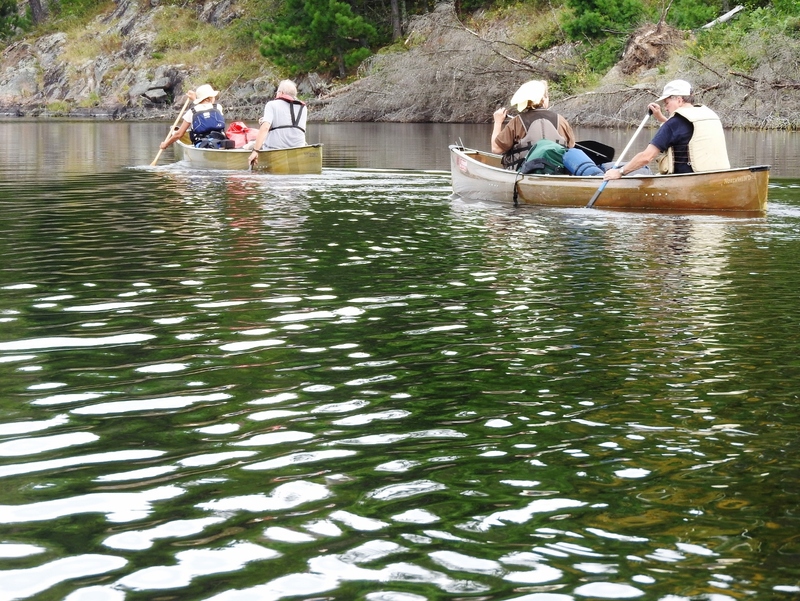 A long, narrow clearing appeared and we pulled off to the side. This was the ELF line, and its grassy clearing is one of the main reasons that this area was chosen for the elk reintroduction in 1995. The ELF was a U.S. Navy project that used extremely low frequency (ELF) radio waves to communicate with deeply submerged submarines. The transmitter operated from 1989 to 2004, and consisted of two 14-mile transmission line antennas in the shape of a cross, with the transmitter station at their intersection. The lines were removed in 2008. Its legacy is that some of the clearing that was once mowed for maintenance is now kept open for wildlife habitat. The elk like the freedom of movement and tender new growth that the cut area provides. We walked several yards uphill, away from the cars and the valley of the Torch River. By now the group was getting a bit restless; still hopeful, but also resigned to the fact we might not hear any elk. Laine made another cow call, and almost immediately the haunting bugle of a bull echoed in the distance. Did you hear it? We looked around the group in excitement. Not everyone had heard. Laine called again. The distant elk bugled again, and then, after a second’s pause, another bugle sounded closer, and from a slightly different direction. We pointed in the direction of the sounds and grinned. At least one of the bulls was pretty close, and in the opposite direction we’d been walking. Back down past the vehicles we ambled in the ELF clearing, and stopped on a knoll above the river. Laine and the two bulls called back and forth several more times. We even saw a flash of warm tan hair through the trees, likely feeding on the other side of the river. Standing there, on land cleared by the military, admiring the cast of sunlight and listening to the uninhibited sound of animals going about their essential business of mating, I was struck by the contrast of wild and human-contrived. The elk were extirpated because of humans. They returned because of humans. 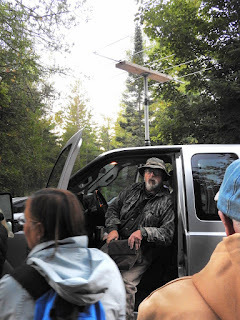 We found them by using very high frequency (VHF) radio collars in an area cleared for extremely low frequency (ELF) communication—both manmade. And yet, the elk paid almost no attention to us. Their instincts, their drive to mate and survive, are the same as ever. The wildness of managed populations is a philosophical question that isn’t resolved in my own head any more than it is decided among scientists or the public. We’ve complicated things, as usual. But still, I’m grateful for the opportunity to listen to the majestic bugle of an elk on a crisp fall morning just minutes from my home. Neon yellow. Brilliant orange. Lavender. Pure white (and deadly). Deep blue. Gray. Variations of red, pink, and coral. And every shade between off-white and brown. The rainbow of fungi in the Namakagon Town Hall was incredible. After just the first day of the Bayfield County Mushroom Foray we’d already found almost 200 species, and they were laid out in groups on a sea of tables. Now, I should be clear. I didn’t identify all those species. 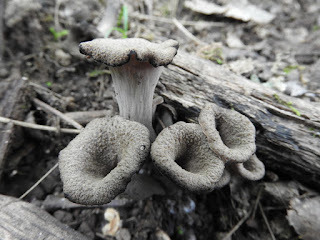 I could tell you the common name of about five, maybe ten, of the fungi, and no scientific names with confidence. 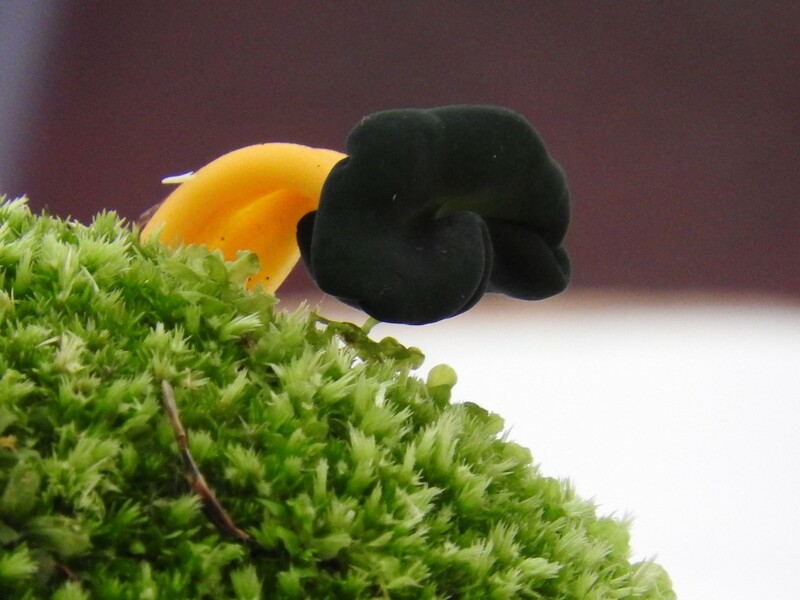 Don’t get me wrong, I’m fascinated by mushrooms—how they partner with trees, orchids, and a plethora of other plants; how they decompose wood and make nutrients re-available to the ecosystem; how they parasitize insects, trees, and even us. I’ve focused on their stories, but not always their identification. It’s a good thing, then, that Patrick Leacock, mycologist from the Field Museum in Chicago, came north with Britt Bunyard, editor of Fungi Magazine, to be our mycologists. 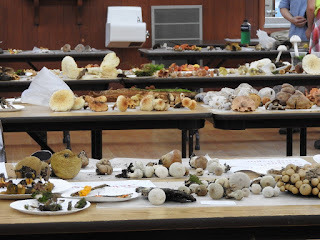 In addition, many knowledgeable amateur mycologists from the Mycological Societies of both Minnesota and Wisconsin came all the way here to check out our amazing diversity of fungi. After admiring the rainbow tables on the second morning of the foray, we headed out onto the trails to look for more. Entering the woods I sighed in resignation. I’m so much more confident in plant identification. Mushrooms, except for those few I know, are confusing. 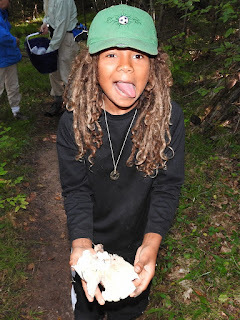 Always an educator, I gravitated toward the sole kid on the hike as he picked up a big white mushroom to admire its bulk. Of course René wanted to know what it was. I raked a fingernail across the gills on the underside of the cap, breaking their brittle flesh. As we watched, small droplets of white liquid oozed out of the injury. Relieved, I could identify this as a Lactarius species, a group aptly named for their milky ooze. Many Lactarius mushrooms are smaller, and often prettily colored. One species is sapphire blue. Another species smells like maple syrup. This particular kind tastes like hot black pepper, so spicy that a single touch to the milk with the tip of your tongue releases a slow burn for several minutes (Yes, I’ve tried it). With this revelation, René also just had to try it. While he said it wasn’t too bad, he did scrunch up his nose and stick out his tongue. As we meandered farther down the trail, bright red, orange, and yellow waxy caps became prominent among the green carpets of Pennsylvania sedge. Holding one up for René, I had him feel the cap and gills. Their brittle flesh has a distinctly waxy feeling. Their cheerful colors brighten up grassy sections of woods. Next we found a small patch of black trumpets. These dusty gray, vase-shaped mushrooms have thin, dry walls with no gills and often grow in clusters. A relative of the choice-edible chanterelle mushrooms, these are also considered a delicacy, and dehydrating brings out their Romano cheese aroma. 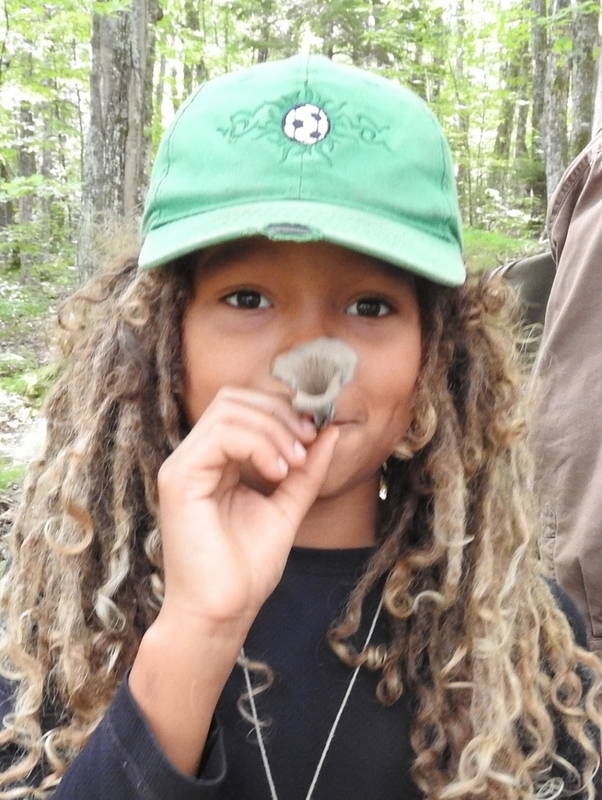 Upon hearing their name, René brought the narrow end of one to his lips, and blew a little fanfare on his new “trumpet.” My kind of mushroom hunter, this kid. While picking more black trumpets to fill his basket, René also found a little cluster of mushrooms with bright yellow stems and deep green caps. “Jelly babies,” someone had called them earlier. René held one up to his forehead like a unicorn horn. We agreed that while we weren’t big Packers fans, we both really liked those shades of green and yellow together. The next mushroom we found was pretty non-descript. White stem, white gills, white flesh, with just a skim of soft red on the upper surface of the cap. It felt fragile in my hand despite its relatively robust proportions: a characteristic Russula. This big group is hard to tell apart, but you don’t need to know individual species to have a little fun. Instead of long, stringy fibers, these fungi have spherical cells that break apart easily. Pick one up and it will crumble in your hand more easily than Styrofoam. Throw one against a tree and it explodes in a shower of white crumbs. René and I experimented with this characteristic. Several times. Maybe this isn’t the most dignified use for a mushroom, but it sure is fun! In the end, the Bayfield County Foray collected over 225 species of fungi. You can check out many of them on the Cable Natural History Museum’s Facebook page. More yet are awaiting identification by the experts using sophisticated techniques. I love knowing that our area is a hotspot for diversity. I also love knowing that even a little bit of knowledge (combined with a bit of humor) goes a long way in appreciating that diversity. Next year, we’ll share our mushrooms with the whole country. The North American Mycological Association is holding their annual foray right here in Cable, during the weekend of September 9, 2017! Email Emily@cablemuseum.org to get in on the fun! Growing up, my dad used to call me his “mud and water daughter.” It was a fitting title, since I spent most of the summer mixing various concoctions of mud pies under the playhouse and squirting things with the hose. As an adult, though, I am more of a “bedrock and water daughter,” and I thrive in the places where waves lap on crystalline shores. 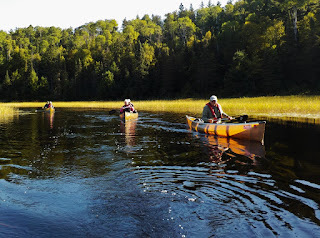 Recently, I shared my love of such places by taking a small group of Museum members to the Boundary Waters Canoe Area Wilderness in northeastern Minnesota, which just happens to be my favorite place on Earth. I’m not alone in my opinion. 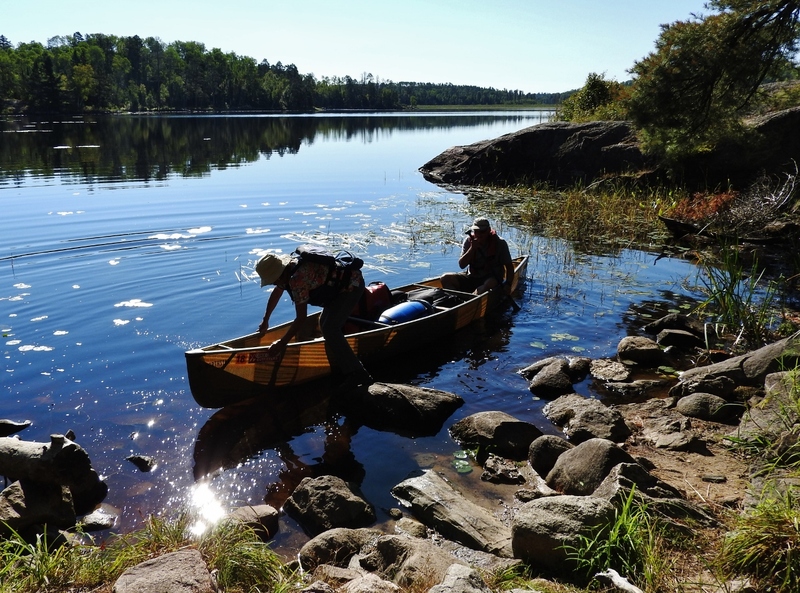 The Boundary Waters is the most visited wilderness in the United States, with more than 250,000 annual visitors. Why do we love it so much? Many have waxed poetic about its beauty. 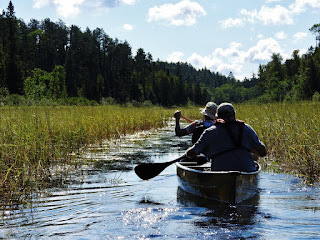 On this trip we slipped through a meandering river lined with golden stands of wild rice, watched a sunrise through the swirling fog from a pink granite knob, and ran out from under the tarp to marvel at a rainbow that began and ended right in our bay. We paddled under towering cliffs of well-worn stone, painted by eons of dripping water and softened by an intricate crust of lichens. We marveled at the endless variety of clouds in the sky, and became mesmerized by their glimmering reflections in the silky medium that supported our thin-walled canoes. The Boundary Waters is beautiful, but that’s only part of it. What really keeps people coming back, I believe, is the way this place helps us to challenges ourselves. When you cut out the excess, the superfluous, and the mess, and fit everything necessary for a week or two of life into a single, green pack, life becomes simple. There is an incredible sense of freedom in this knowledge of self-sufficiency. This freedom feels all the more sweet when it comes with manageable challenges and a means to test our mettle. Portaging the canoe over steep and muddy portages is not easy. Paddling into a fierce headwind fatigues both the arms and the will. Living with our mistakes (a forgotten food item, too much heavy gear, a wet sleeping bag), can hurt our pride as much as our bodies. Our sense of accomplishment at the end of a long day isn’t due to our conquering the wilderness, it’s because we conquered ourselves. And, a hot meal and the wail of a loon at moonrise don’t hurt. This place would be nothing without clean water. It seems obvious, but it bears repeating. Not only is the water our highway, but clean, drinkable water is our lifeblood. To dip a pot full right out of the lake and be able to simply filter, treat, or boil it to make it safe is amazing. You can’t do that everywhere. I wouldn’t do that from the river I grew up with. Our first night out, we met up with two travelers who are worried about the future of clean water in the Boundary Waters. 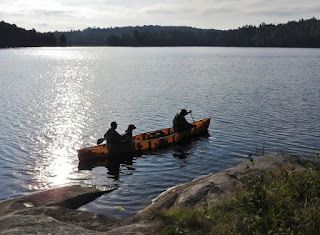 Dave and Amy Freeman—world class adventurers—are in their last month of a yearlong stay in the Boundary Waters. I have to admit, I was more star-struck in meeting these trail-worn, down-to-earth kindred spirits than I ever have been meeting a celebrity. They’ve made a dream come true, and in the process, (with the help of satellite internet and Facebook,) have brought me a window into my favorite place on Earth almost every day for the past year. For that, I owe them a huge debt of gratitude. They didn’t just embark on this adventure for a fun challenge, though. A Year in the Wilderness was launched in response to the threat of sulfide-ore copper mining on the edge of the Boundary Waters. Dave and Amy and their scientist sources have seen that even conservative models of pollution show that waterways would carry contaminants into the wilderness. A single mine in this watershed will continually pollute the wilderness for at least 500 years. Rocks and water go hand in hand, until you start mixing them in the wrong way. You can learn more on their website: savetheboundarywaters.org. A quarter of a million people visit the Boundary Waters each year to paddle, fish, swim, drink, and test themselves in the presence of beauty. What would we do without this vast reservoir of personal challenges and clean water? What would I do without it? As a mud and water daughter, I can’t even begin to fathom that future. Neither can Dave and Amy. They’ve dedicated a year to the fight to keep it safe. What if we all showed such a commitment to our planet? Mind racing, I drove through the crisp, clear, late-summer sunshine. I knew that red maples flamed in the swamps and the ditches were golden with sunflowers and senescing bracken ferns. I didn’t notice them. 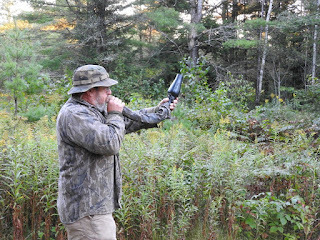 All morning I’d been darting around the house like crazy, packing for a trip to the Boundary Waters. Now, I was on my way into town for one last round of forgotten things. Suddenly, a flash of black and white snapped me into the present. A medium-sized bird with long, pointed wings and a short, compact body darted above the road. One white stripe across each dark wrist flashed as it dove and swooped erratically. Soon a second, a third, and several more acrobatic birds appeared in the clear, blue airspace above trees, homes, and the Namekagon River. 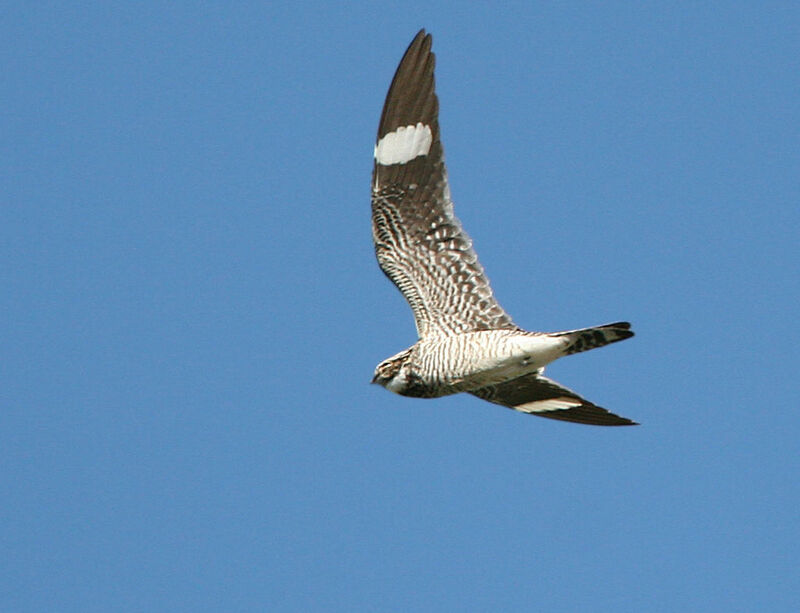 The diet of common nighthawks consists almost entirely of flying insects. There’s a good reason that their fall migration has started just when I’m embarking on a wilderness expedition. 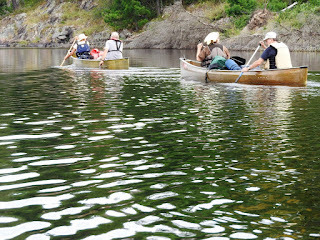 As the bugs die off, canoe camping becomes more pleasant, and the nighthawks must move on. In addition, nighthawks (and humans) are unable to go into torpor on chilly nights, so must carefully avoid temperatures too cold for their respective down coverings. Just as the shortening days and crisp nights trigger nighthawks and other birds to start their migrations, this weather triggers my itch to launch a canoe onto some wild chain of lakes. 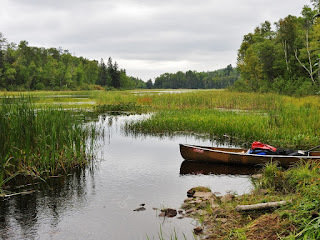 I love preparing for canoe trips in the Boundary Waters of northern Minnesota. I weigh out the portions of dried pea soup mix (4 oz. per person), measure out the macaroni noodles (1 cup per person), and thoughtfully pack a little bottle of hand sanitizer in the bag with each roll of toilet paper. Once I’m on trail, a few handfuls of late-ripening raspberries or blueberries, or a steaming cup of sweet gale tea will supplement the dried foods. Nighthawks use a similar strategy. Like most birds, they build up stores of fat to fuel their trip, but they also stop and snack on local foods along the way. Their beaks look tiny, and hardly protrude beyond their heads, but open into cavernous mouths, well-suited to scooping insects up mid-air during their buoyant, spurtive flight. Nighthawks are attracted to clouds of insects that gather around streetlights at dawn and dusk, but seem to hunt by sight and can’t forage after dark. Only because of migration did I get to see this flock in broad daylight, and so close to the ground. For several days I’d been making my own spurtive flights up and down the stairs, to the kitchen, my bedroom, and back to the basement, rounding up gear and checking the list twice. Seeing these birds gave me some much-needed perspective. 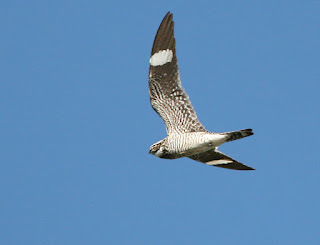 While my trip will only last four days and cover 400 miles driving plus 20 miles paddling, nighthawks have one of the longest migration routes of all North American birds. From northern Canada, they travel 2,000-6,000 miles south to their winter range in Argentina. I’ve started to look forward to seeing their migration as I’m coming or going from a wilderness trip. Last year at about this time we saw clouds of nighthawks migrating along Lake Superior as we drove back from Grand Marais. This year, the migration watchers at Hawk Ridge in Duluth already counted 4,140 nighthawks on August 14, and 2,020 more on August 15! These birds will arrive on their wintering grounds in October, spend a few months, and by the end of February, they’ll head north again. Nighthawks are one of the latest arriving spring migrants, due again to their intolerance of cold and need for flying insects. 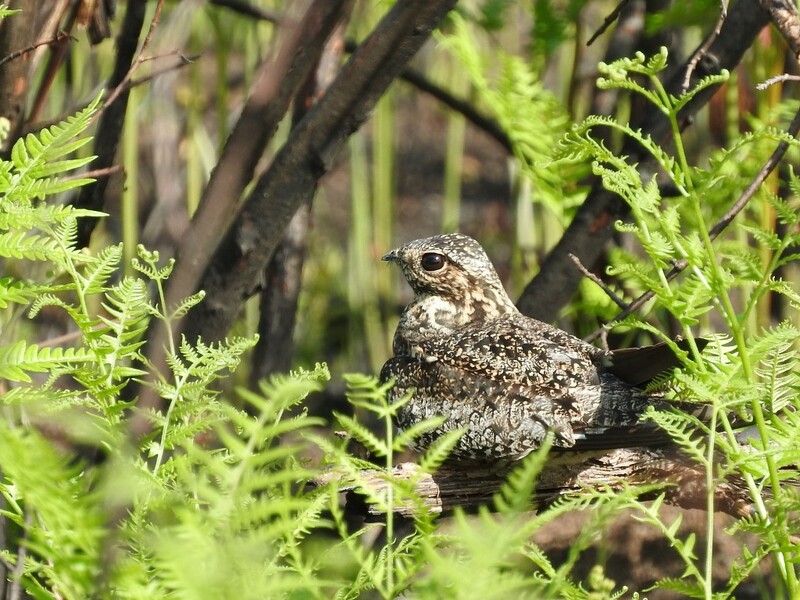 Last June, students on the Wisconsin Master Naturalist course spotted a nesting nighthawk during our banding expedition in the Moquah Barrens. The bird flushed, or we never would have seen it. Two speckled eggs in a scrape—no nest—lay revealed on the barren, recently-burned earth. Mama sat nearby, camouflaged perfectly as she perched along a branch surrounded by ferns. Just 50 days after hatching, those chicks must be full grown and ready to take their first trip south. Tomorrow morning at dawn, a van full of wilderness travelers will head north. In the gray morning light, we’ll be crossing paths with flocks of nighthawks flying south. Safe travels to all.